I went to Casa Verde at UP Town Center to dine with my friends and former coworkers. Casa Verde’s ambience is just down-to-earth and unpretentious, which I love. The place can get really full during dinner so it’s best if you come early to eat! It’s extremely popular for group lunches or dinners. On a good note I observed their servers were very polite. They must have came from Cebu! If you’re dining at Casa Verde, you CANNOT miss Brian’s Ribs. This is their all-time bestseller. 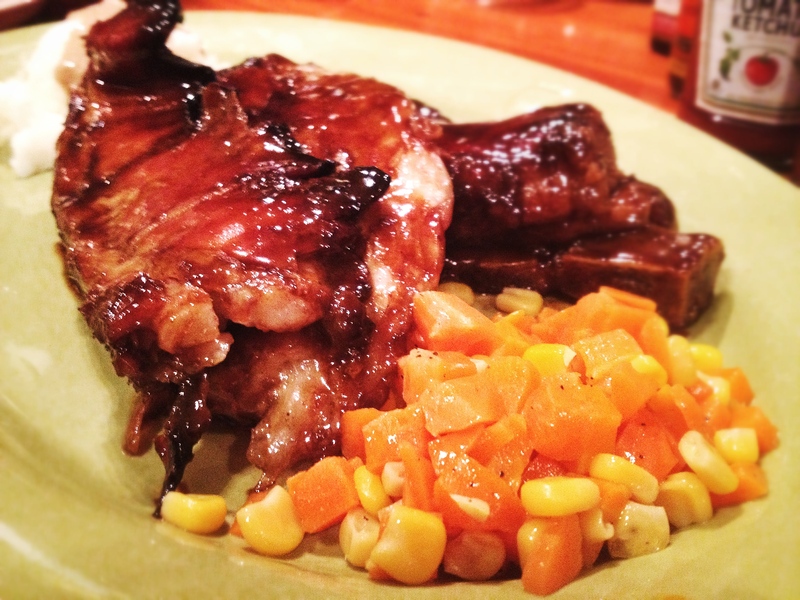 The ribs are coated with a sweet and tangy barbeque sauce that feels homey and familiar to you. I can understand why it’s a bestseller! You can opt for a nice rice pilaf or vegetables if you don’t feel mash potatoes. There were some portions that tasted charred to me but there were some portion of the ribs that were just right. I guess it’s not totally fall-of-the-bone, but to me Casa Verde has it at a very reasonable price. This one’s the Instagram-popular dish. A sibiling of the Mighty Ton, the 12-inch burger, we had the Big Bang Burger which is a whopping 9-inches in diameter! There was one table who ordered this along with the Milky Way, Casa Verde’s largest milkshake, good for 5-6 people. Damn! I can say that the Big Bang Burger isn’t totally that delicious, probably because of its size. The sesame buns aren’t too good and you know that for a burger to taste delicious, the buns are the key to it along with a tight burger patty, less of the onions. But anyway we had fun eating it! It was like slicing cake. We had a great time eating at Casa Verde. Just to show you how happy we were, here’s a candid photo, courtesy of Matthew S. Quimba Photography. Thanks Matt for this incredibly awesome candid photo! Happy Holidays and A Very Merry Christmas to all of you, from Candid Cuisine!